QuiltWoman.com cures spine trouble- for your sewing, crafting and quilting books, that is! At QuiltWoman.com we publish all our titles with a spiral bound spine. We made this move recently and want to tell you why your customers are going to love it. Sure, books are wonderful to flip through on the couch and read on a road trip. They are a great source of inspiration for your creative endeavors. More than that, though, our books contain excellent patterns and ideas for you to use at the sewing machine. Have you ever tried to make a project from a traditionally bound book? You either have to add weights to the sides to hold the book open, or add a permanent crease, or break, in the spine to hold the pages open. With spiral bound, you can work with your book open, exactly to the page you need without damaging the book itself. We offer a selection of books and we are releasing more titles each season. 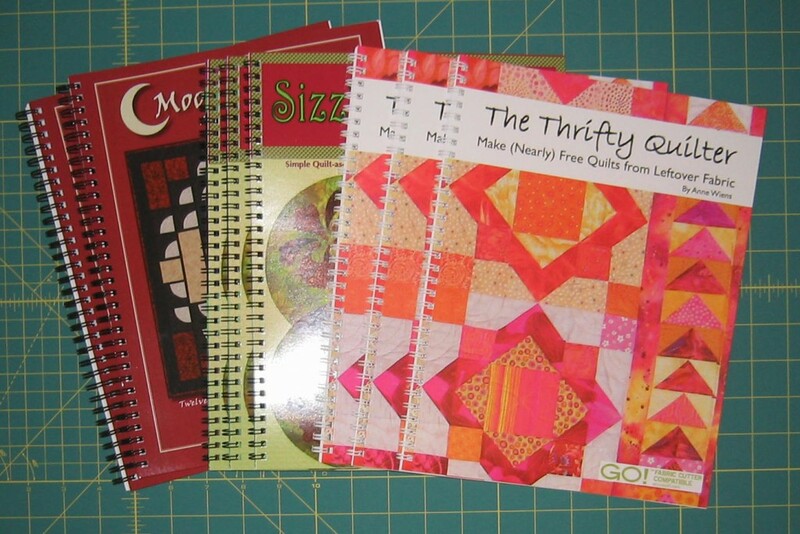 Please stop by QuiltWoman.com on the web to see our titles. This entry was posted in patterns, Publications and tagged Books. Bookmark the permalink.